Over the course of 3 days, attendees can expect to hear over 50 presenters tackle the most pressing issues facing the industry. The event creates interactive experiences and delegates can expect to take part in workshops, debates, round-tables, case studies and interviews. The programme is split into 2 streams one tackling technology issues, the other focused on the dynamic area of sales and marketing. 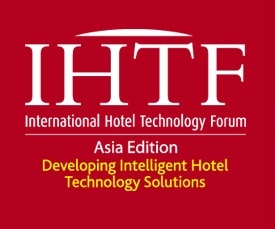 World's largest hospitality technology show that brings the brightest minds and hottest technology from around the world in one place. Over the course of 2 days, attendees can expect to hear over 20 presenters tackle the most pressing issues facing the industry. The event creates interactive experiences and delegates can expect to take part in workshops, debates, case studies and interviews. The program is designed to tackle technology issues, as well as focus on the dynamic area of sales and marketing.